GeekForce is a mobile computer repair and support service covering the Auckland region. Please refer to Areas serviced for more info. Computer repairs & upgrades. Data Recovery, Virus/Malware removal, Windows errors, Websites, Logo design, Manual Functional Testing on websites etc. West Auckland, Hillsborou­gh, Avondale, Blockhouse bay, Lynfield, Mount Albert, Saint Lukes, Grey Lynn, Ponsonby. Kingsland, Remuera, Epsom. 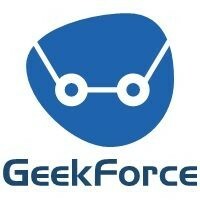 GeekForce is a mobile computer repair and support service covering the West Auckland region. We will travel to your home or office to help resolve computer issues relating to hardware or software. Providing the best service at competitive prices is our number one priority. Whatever the computer issue may be, our certified technicians are only a click away. We are home-based which makes our rates competitive. We have no up-front cost of maintaining an office, so we pass on the savings to you. GeekForce is aimed at individuals and small business. *FREE Inspection and no call out fees apply to the following areas only. Titirangi, Green Bay, New Lynn, Kelston, Glen Eden, Avondale, Henderson, Blockhouse bay, Hillsborough. *After hours pickup and delivery also possible. I have been associated with CJ for approximately 7 years both business wise and lately socially and have always found his technical skills and knowledge with regards to computer, mobile phones etc to be faultless, and repaired on time.I have no hesitation in recommending his services to any potential client. Great service! Good communication, fast and precise to solve problems. Even traveled area where does not cover but with good price. Highly recommended. Fantastic service and a great guy. Honestly, you can't fault him. Punctual, polite, really helpful, totally reliable and his rates are excellent. Highly recommended! CJ has provided me with excellent IT services for the last year and is always helpful and available. Highly recommend! CJ provide absolutely amazing service, very honest and helpful. His rate is very reasonable and turn around time is very fast. I am so happy to know mate, and I will surely come back to you if I need new PC. Excellent service went above & beyond would recommend to anyone and everyone. Prompt efficient & effective. Excellent service. Great work. Very happy with outcome. Very helpful and honest. Excellent service. Fast, reliable and very good value. Would highly recommend. Will definitely use GeekForce again.